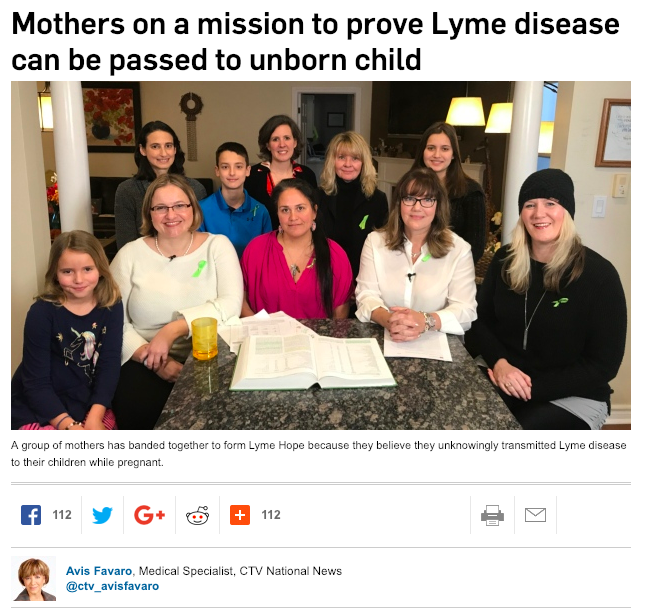 Sue Faber and Jennifer Kravis, known by many as the ‘Lyme moms’, co-founded LymeHope in 2017, a Canadian not-for-profit dedicated to education and outreach on the subject of Lyme & related diseases in Canada. LymeHope has 3 primary goals: to provide education and outreach to patients, the general public, medical professionals, and to leaders across industries, to advance knowledge and support research into Lyme & related diseases, and to provide encouragement, hope and support to Canadian families struggling with the devastating effects of these disease and the challenges accessing care at home. Please join us at the inaugural Lyme Hope Benefit Concert which features two of Ottawa’s top acts coming together for a musical event like none other. Hosted by Ottawa’s Tara Shannon, together with Lyme Hope founders Sue Faber and Jennifer Kravis, the evening offers a mix and mingle starting at 7pm where guests will have access to information about Lyme Disease and can speak with members of the Lyme community to learn more about the often misunderstood illness. The musical celebration starts at 8pm with a performance by event host, country-soul singer/songwriter Shannon, who will share her own journey with Lyme through songs and stories. Special guests, The Commotions, Ottawa’s original 10 piece soul/funk/R&B band will bring the audience to their feet doing what they do best - “reclaiming the spirit of soul” as musical director Brian Asselin has so aptly stated...which is why they are a perfect fit for this event...as Lyme Disease sufferers and their families are often trying to reclaim theirs. 'We fight for our own kids, and for all kids and families who are too sick to speak out and have their voices heard. “Women need to know this is a possibility. Doctors need to know this is a possibility,” said Jennifer Kravis, co-founder and director of advocacy group Lyme Hope. She and other mothers and their children gathered together in Burlington, Ont. to talk to CTV’s medical correspondent Avis Favaro earlier this month. When Lyme Disease Strikes an Unborn Child -Jan 25/19 - by Mary Beth Pfeiffer. Assisting in the development and dissemination of comprehensive, evidence based, up-to-date, Lyme educational tools and resources. Creating a platform for individuals, families and communities affected by Lyme Disease, as well as interested health care professionals, to access education, resources, information and support. Supporting Canadian Lyme research which values patient engagement in the development and implementation of evidence based research priorities. Ensuring that the stories and suffering, the expertise and experience of Canadian Lyme sufferers will be heard, validated, acknowledged and acted upon. Supporting a movement which would empower and unite Lyme sufferers, their care-givers, researchers, scientists and frontline healthcare professionals to work collaboratively and with transparency to identify and break down existing barriers and drive meaningful change for all Canadians. Leading change which is anchored in hope and integrity. Lyme Petition to Federal Government- please sign and share! Recent interview with Cindy Kennedy for her podcast 'Living with Lyme'. I share my personal journey as a registered nurse, Lyme patient and advocate and an overview of how LymeHope started - as the result of reaching out and engaging with Lyme patients from across Canada - so that their voice would be heard and amplified. A New Published Study suggests the MAJORITY of Canadians who have Lyme disease are slipping through the cracks. Open Letter to Public Health Agency of Canada - Urgent action needed. Registered Nurses Association of Ontario Resolution on Lyme Disease. THEREFORE be it resolved that the Registered Nurses’ Association of Ontario (RNAO) advocate, at all levels of government, for Lyme disease prevention programs and the rights of all patients with symptoms consistent with Lyme and/or co-Infections to receive evidence-based, patient-centred care for both acute and multi-systemic chronic presentations of the disease in Canada; emphasizing healthcare provider education that acknowledges alternate modes of transmission, persistence of infection, and integration of a collaborative clinical model inclusive of ILADS guidelines in the treatment of this illness. Friday Nov 2, 2018: LymeHope had a fantastic 45min meeting with Ontario Minister Of Health Honourable Christine Elliot. "We are taking a stand against an escalating threat [of Lyme disease in Canada], and we are doing so by taking a very powerful weapon to that table.. and that weapon is science." "one of the unique things we offer in this lab is a clinical academic pipeline and that's what really sets us apart. What we are trying to develop here is this idea that we are going to be working with patients as stakeholders and collaborators in research and that we're studying the conditions that they find relevant..."
"We don't want to do research that doesn't have clinical significance, we want to bring something to the clinic that will impact the health of Canadians." Canadian Lyme disease patient groups united to reject a 'one research network only' approach to Lyme Disease research in Canada. VOCAL highlights In-utero transmission of Lyme disease at local Ottawa Womens' Show. October 21, 2018 - Ottawa Mother Starts Online Petition on behalf of her son with Lyme, unable to access appropriate care. Our son Nicholas was bite by a tick, had a bulls-eye rash, he has endured all the terrible symptoms of Lyme and co-infections, we live in a very high-risk area, has a positive US Lyme test, and has shown to be responding well to antibiotic and medical treatment. The past 5 months have been the roughest months of our family's lives, where Nick has suffered immensely, has been unable to attend school, and our whole lives have been turned upside down. But, we as a family and community are getting through it, but with little to NO support from our local children's hospital, and this NEEDS to change! October 16, 2018 - A Canadian child unable to access appropriate testing and treatment for Lyme Disease - an all too familiar story in Canada. ​'Trent was taken to pediatricians, family physicians, specialists and emergency rooms. "In the last two years I have taken him to more than 13 doctors," Danielle says. The Nimeth's were told different things about their son's condition. "It was allergies, Tourette's syndrome, ADD, OCD," says Matt. The couple refused to accept it. They were convinced there was something else. After months of on-line research and connecting with on-line forums, they came to believe he might have Lyme disease. Canada Acknowledges In-Utero Transmission of Lyme Disease. Historic meeting with the Public Health Agency of Canada October 5th, 2018. On Monday May 7, LymeHope, along with CanLyme and the G. Magnotta Foundation and supported by Provincial Lyme groups, co-hosted an all-party MP Round Table education event on Lyme Disease in Canada. There was a great turnout, with over 40 MPs and/or their staffers in attendance from all parties. Your emails, letters and meetings with your MPs have had an impact! May 9, 2018 - LymeHope meets with Conservative Party Leader Andrew Scheer, Shadow Health Minister Marilyn Gladu, Deputy Leader Lisa Raitt and National Conservative Caucus Chair David Sweet. Engagement with elected officials is critical - as they represent and act on behalf of their constituents. June 6, 2018 - The Public Health Agency of Canada has now listed the International Lyme and Associated Diseases Society (ILADS) treatment guidelines - on their website - as one set of evidence-based treatment guidelines for Lyme disease. Award-winning artist Tara Shannon affected by Lyme Disease aligns with not-for-profit LymeHope to help raise awareness in Canada. Toronto, ON (May 07, 2018) - Award-winning adult contemporary artist Tara Shannon is proud to align with LymeHope, a not-for-profit organization dedicated to education and outreach on the subject of Lyme and related diseases in Canada. After being personally affected by the disease in recent months, this cause is close to the artist’s heart. LymeHope aims to raise awareness on the devastating disease affecting four-million Canadians. Known for supporting local and national charitable campaigns throughout her career, including the Butterfly Child project and Big Brothers and Big Sisters’BeYou, Tara looks forward to give her voice to LymeHope. Your Donations help LymeHope Grow! Please note: We cannot offer tax receipts at this time. Click Link below to donate! Thank-you for your generosity and support! We welcome YOU to join us as we continue with Lyme awareness, education and outreach. Please fill out the contact form above. Do you have skills, training or connections that could help us as we move forward, we would love to hear from you! We want to stay in touch with you. Please note: Filling out this form is your consent to receive updates from LymeHope, we will not share your information. Please send an email to info@lymehope.ca if you wish to unsubscribe. e) not have to pay out of pocket or seek expertise outside of Canada for medical care. Disclaimer: LymeHope is dedicated to education and outreach on the subject of Lyme and related diseases in Canada and run by volunteers. We provide free information and support services to patients and caregivers as well as members of the public. The information that LymeHope provides does not replace your relationship with your doctor and in no way is intended to constitute medical advice. The information is for your general use, so be sure to talk to a qualified healthcare professional before making medical decisions or if you have questions about your health. We encourage Internet users to be careful when reviewing any medical information on the internet. We do our best to make sure that the information we provide is accurate and reliable but cannot guarantee that it is error-free, complete or up to date. We include links to other organizations in Canada, U.S. and abroad for information purposes but we cannot endorse, recommend, authenticate or be held responsible or liable in any way for any information contained therein. LymeHope is not responsible for the quality of the information or services provided by other organizations and mentioned on lymehope.ca, nor do we endorse any service, product, treatment, medical professional or therapy.